Remember: Burning trash is illegal in West Virginia. It’s West Virginia Artist, Charlie Harper’s raccoon print along with advice on how to keep raccoons out of your trashcans. Raccoons are often nicknamed, “trash bandits” because they love to get into human trash. The Marion County Solid Waste Authority accepting the award for the WV Rehabilitation Environmental Action Plan (REAP) grant from the West Virginia Department of Environmental Protection (DEP). Thank you all our residents for making Marion County a great place to live. I really love working with Marion County Solid Waste Authority. With your help I take pride in making Marion County a better place. I want to thank everyone for a good year of recycling. And remember if you flick it we will ticket….so no litter or cigarette butts polluting our surroundings. Have a Merry Christmas and look forward to another good year. GOOD LUCK WV FLL TrashTREK! GOOD LUCK! WV FIRST Lego League teams and volunteers in the State Championship at Fairmont State University. You are all winners to us. Thank you for making WV a better place to live. Take a TrashTrek to Celebrate America Recycles Day ! The Marion County Solid Waste Authority, members of the Recycling Coalition of WV and trash professionals around the world have been mentoring First Lego League teams. In the 2015 FIRST® LEGO League TRASH TREKSM /Waste Wise Challenge, more than 233,000 children ages 9 to 16* from over 80 countries will explore the fascinating world of trash in our own towns and even in space! We are proud of the contributions of all the teams and would like to share some of them with you from our region. They did a great job keeping WV a beautiful place to live! We thank them and our local NASA IV&V Educator Resource Center (ERC) for their hard work. 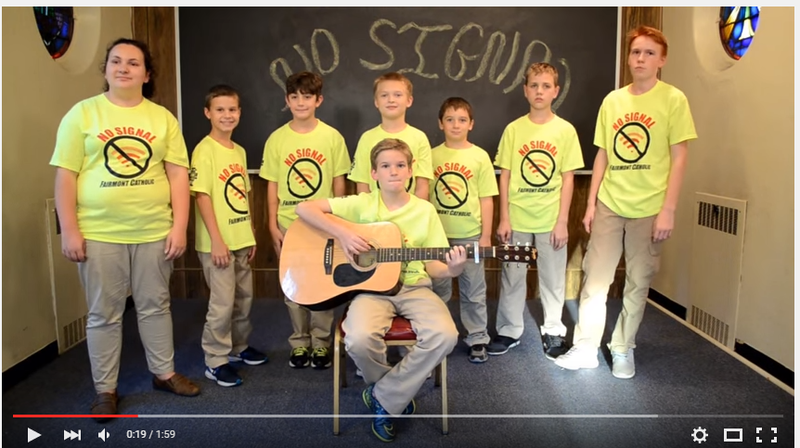 TEAM NO SIGNAL, a local team from Fairmont Catholic, created a public service announcement on where to recycling in Marion County that is a catchy song. We hope to catch you singing it as you take your recyclables to our drop off sites. We know we are. The Team No Signal video will be on our website and Pinterest site. The Lego Men Team, a local team participating in the 2015 FIRST® LEGO League TRASH TREKSM Challenge, found the answer to a question we are often asked by the public. It takes a lot of research to find an answer that is appropriate for our region. The Marion County SWA doesn’t include any information for the public until it has been verified and vetted by our office. Look for it in our handbook. RETURN IT TO THE UPS STORE AND MAIL BOXES ETC. or RETURN It To SEALED AIR CORPORATION (http://www.sealedair.com/). Note: All regional Kroger stores collect Bubble Wrap and plastic bags and send it to the Roanoke, VA center for recycling. Morgantown Walmart and Target locations accept plastic bags and Bubble Wrap for recycling and use 3rd party companies for pickup and recycling. Team ZombieBots project focused on Ocean Trash. Did you know that Ocean Trash can start in West Virginia? Team ZombieBots thought that it would be best to stop the trash before it reaches the oceans. 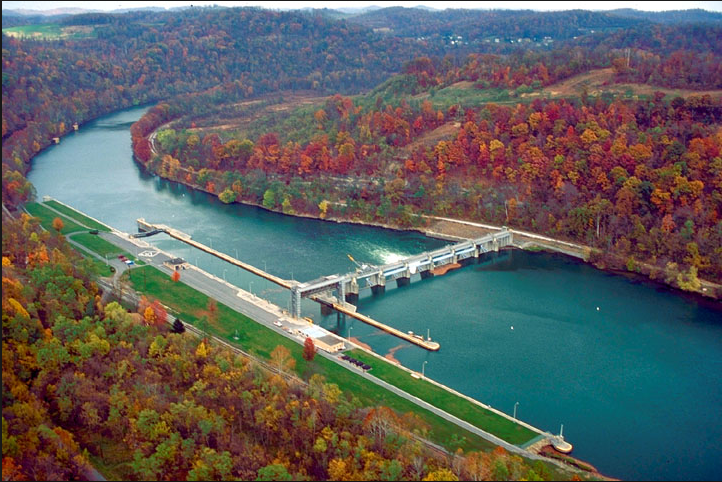 They created a model of a lock and dam that could stop the trash with a robotic system with rakes 1500 ft before the lock that can trap the trash and then rake the trash to concrete bins on the side of the river. We will be putting examples of their LEGO model and 3D printed model of Team ZombieBots robotic rake system on our Pinterest Site. We hope that we will see it in real life action as a real robot in the future. Until that time, remember that WV Litter impacts our oceans. The Astronomically Accurate Astronomers, a local team participating from Preston County (Teacher Kimberly Wimer), created a kit to educate the public about NASA’s goal “to raise global awareness of orbital debris issues” or space trash. 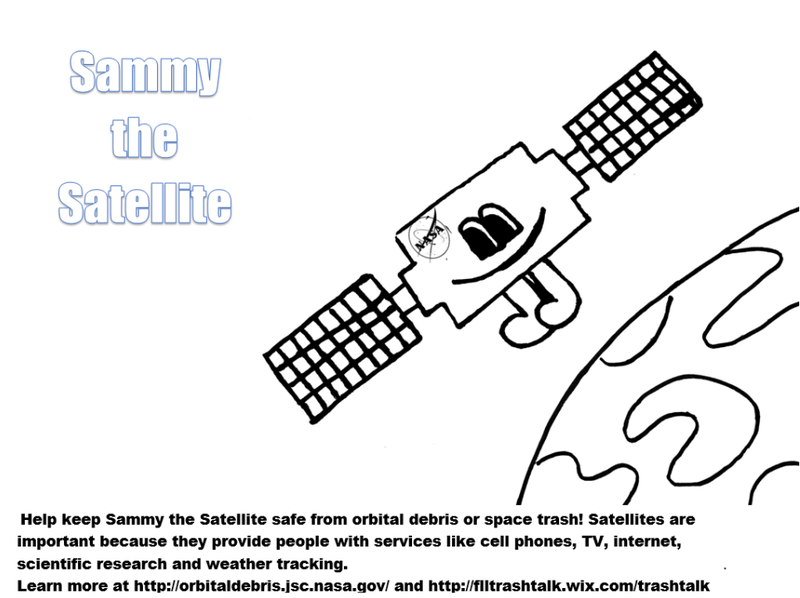 What does space trash have to do with our local community? If you use a cell phone, it is an important issue for you in the future. Team Astronomically Accurate Astronomers created a kit with hands on activities designed to be used by the NASA ERC for teachers, 4-H, after school programs, and boy & girl scouts. We will include their kit on our Pinterest lesson plan site for trash, recycling & litter educators. Marion County was well represented at the 2015 WV Educational Conference on Litter Control & Solid Waste Management. The Marion County Solid Waste Authority – Recycling & Litter Control, Resolute Forest Products, Reclaim Co. LLC, and NASA IV & V Center representatives attended training and educational sessions. The Marion County Solid Waste Authority Board Members, Executive Director, and Litter Control Officer recieved scholarships from the WVREAP to attend the conference. NASA IV & V Center gave a session on “NASA’s Robotic Alliance Project” First Lego League with the worldwide competition topics TrashTrek and WasteWise this year. The WV State Competition Finals will take place at Fairmont State University. Reclaim Co. LLC gave a session on “Community Salvage Programs” to solid waste authorities, municipalities, and community groups interested in revitalization. 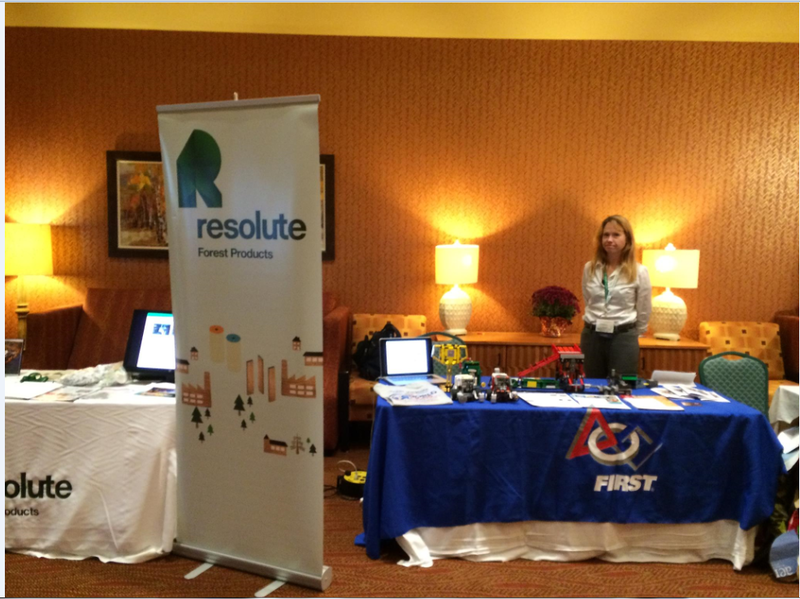 Resolute Forest Products and NASA IV & V had educational booths at the conference. We are excited to share everything we have learned with our residents. Marion County is a beautiful place to live because of you. Congratulations to Marion County Solid Waste Authority Recycling and Litter Control and the City of Mannington for their litter control grant awards. Together we make Marion County a beautiful place to live. Marion County Solid Waste Authority: $3,000 — The funding will be used for educational items and supplies, litter cameras and advertising for the county litter control program. City of Mannington: $1,325 — The funding will be used for dumpster and backhoe rental and landfill fees for a fall cleanup. The West Virginia Department of Environmental Protection has granted funding to 28 state solid waste authorities, county commissions and municipalities for litter control programs. The grants come out of the Litter Control Fund, which is funded by 50 percent of all civil penalties for the unlawful disposal of litter. The grant amounts ranged from $991 to $3,000, and go toward various program costs, including trash cans, little control projects and supplies, and litter control officer wages and benefits. FREE! to All WV Residents with proper (WV) I.D. Any resident or business with large quantities of tires should contact the WV DEP. How to Dispose of (almost) Everything ….. The Marion County SWA is updating it’s popular How to Dispose of Everything Handbook (available in downloadable PDF from our website at http://www.marioncoswa.org or in print from our main office). We use the handbook as a reference guide to know who takes what unwanted items (trash, donations, and recycling) and how to properly store and handle it in the meantime. Know one can know how to dispose of every item, but we give it a good try with the help of the many organizations, businesses, and service groups that share their expertise and the contributions of our residents. Everytime you call or ask a disposal question or give us some disposal advice we try to find an answer to add to the handbook. If you’d ‘d like to update any information in the handbook, please download it here or from our website. Send us the updated information by Facebook messenger, email at marioncoswa@gmail.com with the header “Handbook Update” or call our office. If you would like to participate further, all interested residents and groups are invited to take part in our Recycling & Litter Control Task Force. We try to make sure that all our information accurate, doable in our county, and has the specific name of the group or organization that takes the item. Thank you! Marion County is a great place to live because of residents like you.